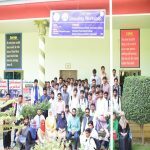 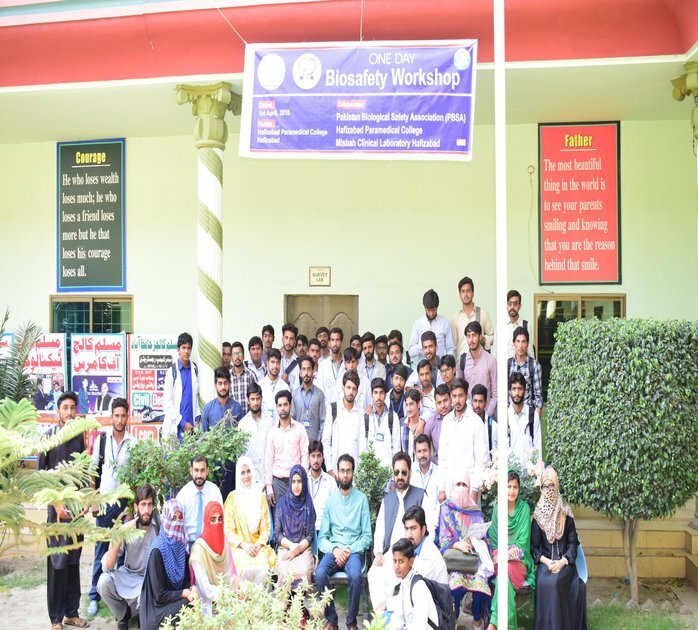 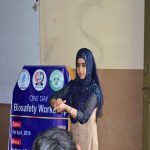 The one day Biosafety Awareness Workshop in Hafizabad on 1st April was jointly organized by Pakistan Biological Safety Association and Hafizabad Paramedical College, Hafizabad. 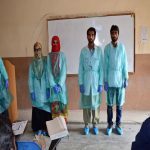 Three facilitators conducted lectures on biosafety, biosecurity and PPE requirements. 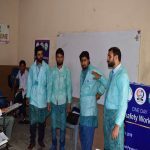 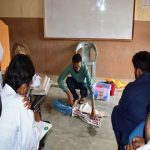 Practical sessions were also held in which participants took part in enhancing their knowledge on glove removal procedure, needle stick injuries, spill management in hospital settings, hospital waste management, and sample transportation from hospital conditions to a laboratory. 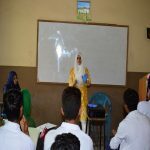 It was a successful event, bringing out awareness amongst participants on biosafety, biosecurity and biorisk management.